A School steeped in sporting excellence, Rossall is now proud to announce the launch of the Rossall School Golf Academy. The Rossall Golf Academy boasts an indoor golf studio, equipped with the latest video analysis equipment and GC2 launch monitor/simulator. We are also able to make use of our extensive outdoor space on Rossall’s 160-acre campus. Off campus, the School continues to benefit from and work with a number of local facilities that offer outstanding golf provision and we are fortunate to be surrounded by world class golf courses that have staged some of the world’s most prestigious professional and amateur events. The Golf Academy offers a range of programmes which enable students of all ages and abilities to develop their golfing interests and standards, in line with their personal ambitions and goals. Here at Rossall, we have created a unique opportunity for students with little or no experience to sample, learn and play the game. Students with proven ability have the option to enrol onto a more comprehensive programme. Aimed at the student who is either a total beginner or still relatively new to the sport, the Introductory Programme is designed to teach the fundamentals of the game whilst enabling the student to sample and gain an insight into the Sport/Academy. Designed for the student who wishes to develop their technical ability in tandem with a comprehensive training programme that offers students the opportunity to learn, play, practise and compete 7 days a week. This programme is designed for the student who wishes to take full advantage of everything that the Golf Academy at Rossall has to offer, from private coaching to group training on and off the course, weekend activities, trips and more. This advanced programme will assist, drive and monitor all areas of the student’s game. The three Programme series provides a structured pathway designed to direct and drive our students’ development. Due to our tailored approach we are able to offer students of all ages, with differing experience, the perfect platform to learn, train and develop not just as golfers but as individuals and athletes. To apply for one of the programmes, click here. 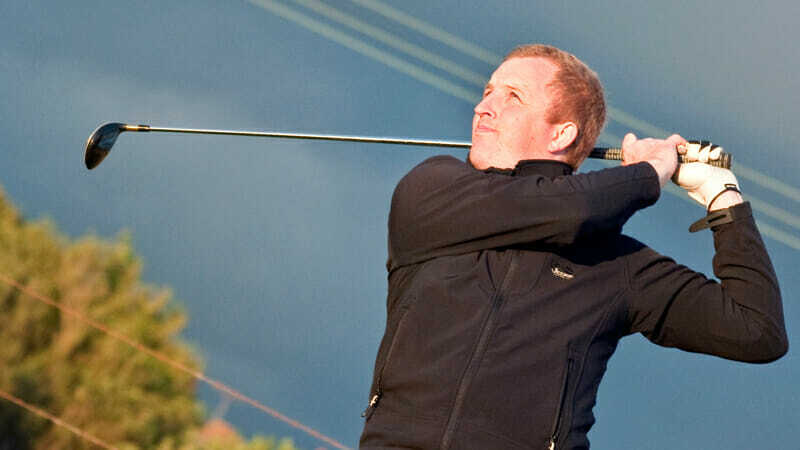 Resident PGA Golf Professional, Stuart Hemmings, has competed in golf at amateur and professional level since 1991 and has been coaching for over sixteen years. During his career Stuart has travelled to a number of worldwide destinations including the USA, Canada, Australia and Asia. Stuart is now honoured and excited by the prospect of bringing his wealth of knowledge and experience to Rossall in the area that he regards as the Golfing Capital of Britain.